The 1997–98 Division 1 was the 60th season of Division 1, the top French professional league for association football clubs, since its establishment in 1932. The season began on 2 August 1997, and concluded on 9 May 1998. This season saw a change in the league format, with the number of teams reduced to 18 from 20, shortening the season from 38 to 34 rounds. 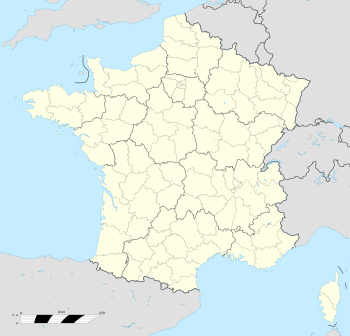 As a result, four clubs which had been relegated at the end of the previous season were replaced by only two, Châteauroux and Toulouse, who entered as winners and runners up of the 1996–97 French Division 2. Defending champions of the 1996–97 season were Monaco. Lens won the championship for the first time in their 92-year history, becoming the 26th club to become French football champions. Lens won their league title with 68 points, edging out second-placed Metz on goal difference, for whom this was their best result in history. ^ Paris Saint-Germain qualified for the 1998–99 UEFA Cup Winners' Cup as winners of the 1997–98 Coupe de France and 1997–98 Coupe de la Ligue.